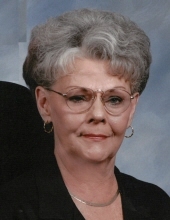 Mrs. Banes was a member of Prentiss Baptist Church and a previous LPN at the Ellisville State School Group Home in Prentiss and Jefferson Davis County Hospital. She was preceded in death by her husband, Raymond Banes; one daughter, Joanna Prince; parents, Austin J. and Annie Mae Stamps; three brothers, Earl Stamps, Bobby Stamps, and John Eddie Stamps; and one sister, Margie Shelton. She is survived by her son, Frank J. (Jan) Miller of Oak Vale; four grandchildren, Jeremy Miller, Erin Miller, Anna Carol (Mario) Rodriguez, and Joseph Prince; one brother, Harold Stamps of Prentiss; and numerous nieces and nephews. To send flowers or a remembrance gift to the family of Judy S. Banes, please visit our Tribute Store. "Email Address" would like to share the life celebration of Judy S. Banes. Click on the "link" to go to share a favorite memory or leave a condolence message for the family.